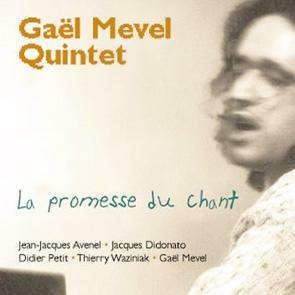 Gael Mevel is a French piano player who leads his quintet through his fragile, poetic "songs", which, he hopes, "might open a door within." Gael's quintet consists of the top French improvisors: Jacques Didonato - reeds, Didier Petit - cello, Jean-Jacques Avenel - bass, Thierry Waziniak - drums. With this first CD for Leo Records, Gael Mevel takes the place among the best creative musicians in France.